Chunky, skulky and vocal. Common in warmer months throughout much of North America; prefers dense vegetation in a variety of habitats, including marshes, field edges, and sometimes backyards. 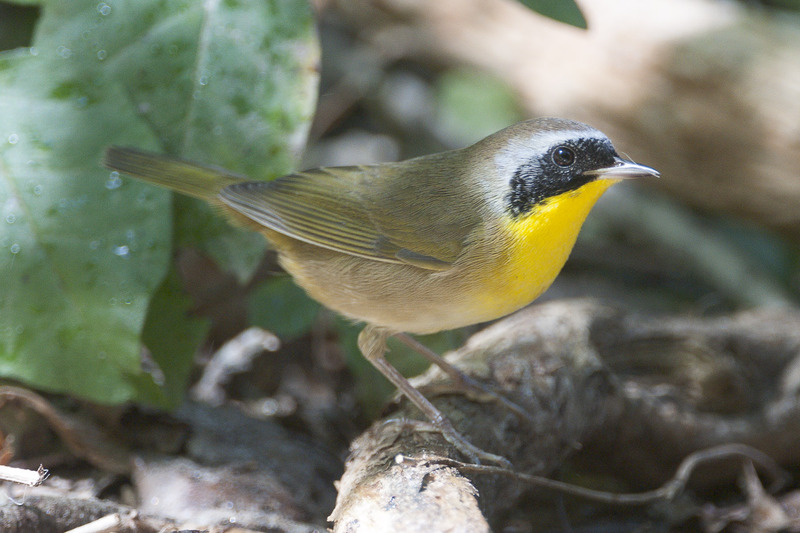 Small, with olive upperparts and yellow underparts; males have a striking black masks. Distinctive “witchety-witchety” call often heard in marshlands. Eats insects, so unlikely to visit feeders. Nests on or near the ground, in dense vegetation. Lifespan up to 11 years. Population ~ 87 million and declining.